Please view map for driving directions. Our commitment to developing the best drive-thru espresso led us to franchising The Human Bean’s brand and system in 2002. 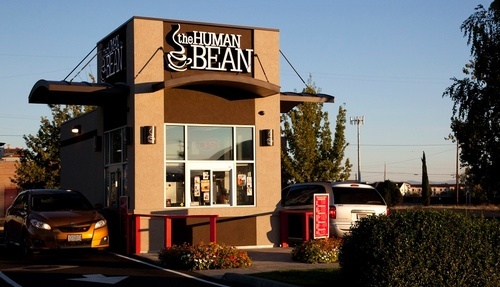 We are proud to announce that The Human Bean has expanded to 63 locations in nine states, 47 of those being franchised locations and 13 being corporate locations. We expect to continue this growth through approved franchisees that share the same determination and commitment to our goals for this exceptional brand.